If you read my about page, you know that I started this blog a while back. 5 years to be exact and I had NO IDEA what I was doing (to be honest I still don't shhhh let's keep that a secret). Now, I blog about everything and anything. I feel blogging is just another way of self-expression. I wanted a place I can write about things I find interesting or just vent to anyone that would listen... so I guess that's you guys! Thanks for putting up with me. 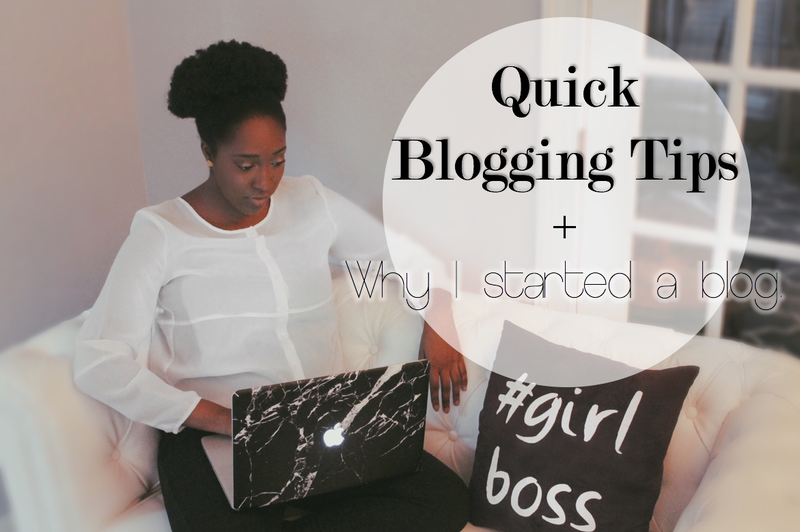 In return, I am going to give you some blogging tips, I wish I knew when I first started out in the blogosphere. If You Think It, Blog It! One thing I struggled with when I started Marveling-Mind was not knowing what to write about or not sure how people would react to what I post. There is no "right way" to blog and if you find something remotely fascinating and you want to talk about it, go ahead. Most people like to pick a focus, so it can be a blog about food, fashion, politics, pop culture, movies, life, music, dance, travel or all those things combined. It is important to keep in mind that blogging in an extension of what is going on in your mind and all the power is at your fingertips. Some might think this is a trivial part of blogging but I think it is extremely important. Finding a blog theme that fit my personality and "blog's voice" in the beginning seemed impossible. It can take quite some time finding a theme then setting it up and installing it. Have patience and watch/read tutorials on quick coding and blog theme building. Another key part to your aesthetic are the pictures. The pictures and any kind of visual media can make or break a post. Of course the text is a major part of blogging but as cheesy as it sounds, pictures are truly worth a thousand words. The rookie mistake is thinking an expensive camera is what gets the best pictures but that is not the case. For me, the best pictures are taking because of the lighting. I am not going to lie and I say, "all my pictures are taken from my phone". I use a DSLR camera as well as my iPhone. Phones can produce amazing pictures depending on the lighting then how you edit the picture. Once my blog started to gain a good amount of traffic and viewership, I noticed I started blogging in a way I thought people would like and changing the way I wrote. That didn't last long because I realized the reason I blog is because I enjoy it. If people happen to enjoy it too, that's great! Blogging is first and foremost for you before it is for the public. Not everyone is going to like your content or agree with what you post but make sure to stay true to your words and be respectful. The same goes for working with brands and companies. When I get sent something to review, before I get the product I tell the brand or company that I plan to share my true and honest opinion. My blog has grown and no matter how big it gets, I always want to stay true to myself and the reason I started blogging. I hope you do the same! This was a great post and some really good tips and views about what it's like to be a blogger! great tips, very on point. and i LOVE your laptop case!! !